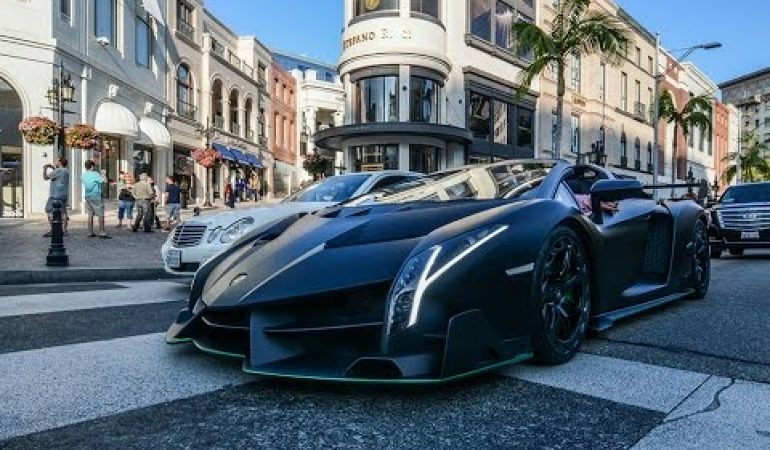 MEAN Lamborghini Veneno Roadster Grumbles Through The Streets of Beverly Hills! Beverly Hills is known for it’s richer community, therefore it is not an uncommon sight to see some pretty amazing luxury vehicles passing through the streets. In this video we witness an incredible Lamborghini Veneno Roadster rumbling through the streets and it is truly a magnificent sight. Equipped with a matte black paint job this lambo was meant to look mean. Click the video below and turn up your speakers to watch this beautiful super car turn heads on the streets of Beverly Hills!